Norway, its name derived from the “north way,” sits along the northwest edge of Scandinavia and borders the North Atlantic Ocean. 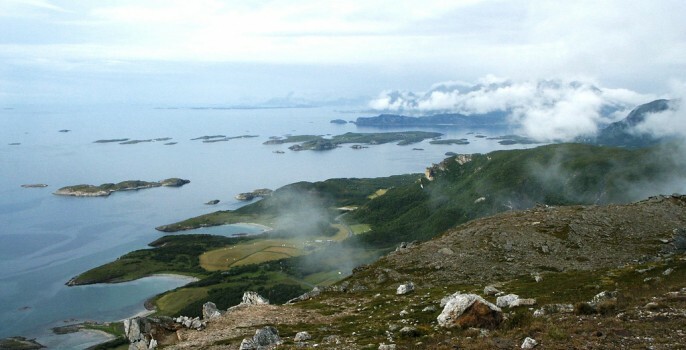 Norway’s high latitude has earned it the nickname “Land of the Midnight Sun”; in the summer, the sun never completely descends in the most northern areas. Norway is the least populous European country, second only to Iceland; yet within its long borders lies a culture and history that belies its sparse population. The Vikings of Norway have become a legend. Little is known about these intrepid explorers; the picture is largely painted by tales from places they raided, which have an understandable bias. Oft portrayed as noble savages, the Vikings were in fact surprisingly hygienic and technologically advanced; their distance tables for sea voyages differ less than 4% from satellite measurement today. The Norwegians continued to gain notoriety as sailors beyond the time of the Vikings; Erik the Red founded the first Norse settlement in Greenland. His son, Leif Ericson, was the first European to land in North America – nearly 500 years before Christopher Columbus. Norwegian ships were masterfully crafted longboats, and stave churches constructed in the Middle Ages still stand today as examples of Norway’s craftsmanship. Many artists today draw inspiration from the ancient Germanic writing of Elder Futhark runes, or the extensive lore of Norse mythology. The town of Levanger sits on the east bank of Trondheimsfjord, the country’s third largest fjord at 81 miles long. Perched where the mouth of the Levangerelva river connects with the fjord, Levanger was once a bustling port and market town. With historical roots as far back as the Viking Age, Levanger was known throughout the Middle Ages as a pilgrim’s route to the Nidaros Cathedral in nearby Trondheim city. The town’s narrow lanes and wooden houses lend it a unique architectural style, yet put it at risk of disastrous fire. The town has been burned and rebuilt more than once. Kathrine Elverum of Kelverum was born just south of Levanger. Inspired by the breathtaking scenery and culture of her native Norway, she creates beautiful ceramics featuring elements of nature. My ceramics always have nature in their decor or shape. Flowers, dragonflies and butterflies are my favorite. 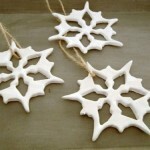 I also make snowflakes, because ice and snow are a big part of the identity of Norway and Scandinavia. 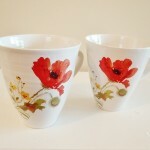 Studying arts and crafts in both Trondheim and Levanger, Kathrine fell in love with clay. I’ve always loved to make things, or paint and draw. After a course in ceramics, I set up a workshop in a small house at my grandparent’s place. It’s cozy and sometimes inconvenient, but it allows me to make my ceramics. 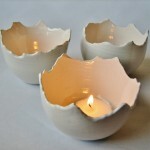 Kathrine’s cups, bowls, candle holders and other ceramics are all handmade, mostly hand-thrown on the potter’s wheel. 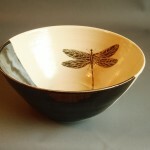 She often combines ceramics with glass or copper oxide for pigment. 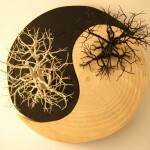 See more of her work in her Etsy shop Kelverum, or visit her on Facebook or Pinterest. Situated at the end of Olsofjord, the Norwegian capital of Oslo is home to the government of Norway, including the Royal Palace and Stortinget, the Norwegian parliament. Hilltops grace the city to the north and east, giving it the shape of a giant amphitheater. Though Oslo was founded around 1000 AD, the city was moved in 1624 on orders from King Christian IV following a series of destructive fires. Oslo’s culture is rich, with over 20 theaters for the performing arts – including the National Theatre, and the newly-completed Oslo Opera House. Frogner Park, the city’s largest, is also the world’s largest sculpture park featuring work from a single artist – Gustav Vigeland. The Oslo Craft Market has been going strong 43 years, featuring over 100 of the country’s best artists. Eline Oftedal of byEline lives in the capital city creating hand-knit clothing and knitting patterns. She loves that Oslo is so compact – the city is walking friendly and has a strong infrastructure of public transit and rentable bikes. We are a small country, rich in natural beauty and resources. We all love to be outdoors and enjoy nature! The sculpture park is a must-see for anyone visiting the city. Not just for the sculptures, but to partake in our love for the outdoors. The park is used year-round by Oslo citizens to play and relax outside. The rich knitting history of Norway and Northern Europe is a source of inspiration for Eline. Working in international politics, she was knitting as a hobby until just recently. My breakthrough as a knitting designer came in 2010 when I was published in the prestigious magazine Vogue Knitting. 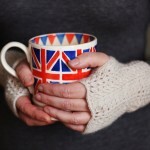 I design for the UK knitting magazine The Knitter and I’ve worked with various yarn producers on patterns. Eline has also been working hard on her first knitting book – Knit Nordic, due out this fall by Anova Books. I recommend snatching up her knitting before the international rush! 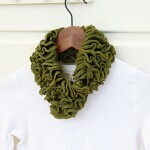 Favorite byEline on Etsy to see her latest creations, or follow her on Facebook for product and knitting-related news. Nearly an hour northeast of the capital city of Oslo, Neskollen is a tiny village of just over 1,000 people. Red roofs line the hillside of this remote village. Surrounded by nature, Neskollen is serene and inviting – a place to relax and enjoy the scenery and landscape of Norway. Eirini Konstantopoulou of DrommeLund recently relocated to Neskollen from Denmark. Born in Athens, she found that escaping the frantic life of a big city allowed her creativity to blossom. 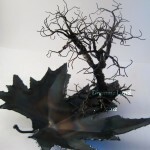 She has no shortage of inspiration for her meticulous copper wire tree sculptures in the enchanting village. I’ve always been attracted to nature, especially trees and forests. I started creating sculptures more than 10 years ago as a hobby. Back then, I was living in a big city and creating helped me relax and escape to a distant fantasy land. Now I live in a very small city; it’s very peaceful and beautiful during every season. 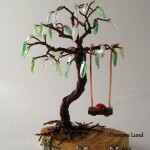 Drømme Lund means Dreamy Grove; Eirini’s whimsical sculptures live up to the name, created with high-quality copper wire and Czech glass beads. It took years of practice after learning wire shaping to develop her own technique. Eirini followed love to Denmark and now to the hills of Norway. She lives in Neskollen with her husband and adopted Norwegian forest cat. She loves that the Norwegians are so caring about nature, working diligently to protect and preserve it for future generations. 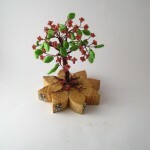 Visit Eirini at her DrommeLund Etsy shop to revel in her own creative forest; she can also be found on Facebook, Pinterest and the DrommeLund Blog where she shares pictures and stories of her work and the Norwegian countryside. Flickr photo credits: Cover image by Ben Gallagher; Husfrua by Bernt Rostad. Sunrise Oslo by Jim G. Glomma River by Oslofjord.